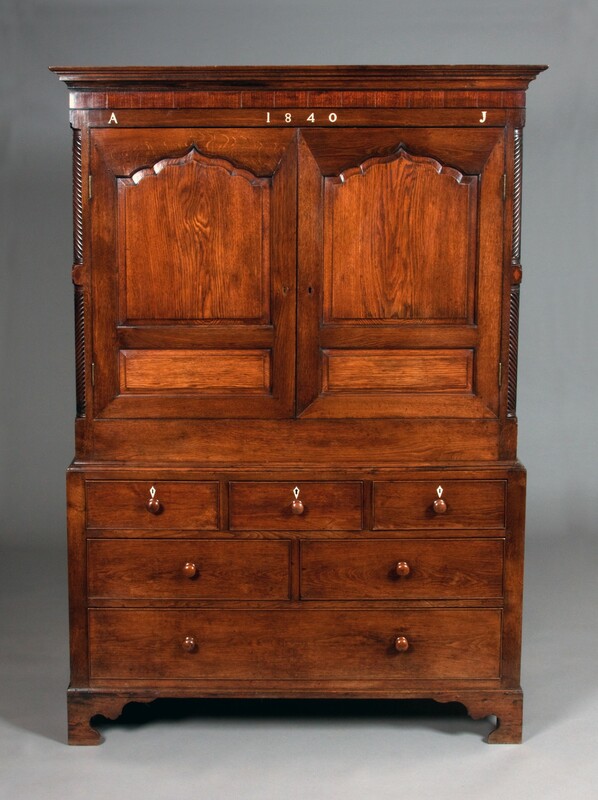 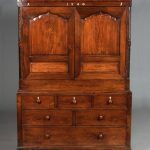 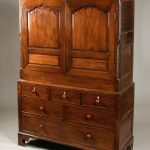 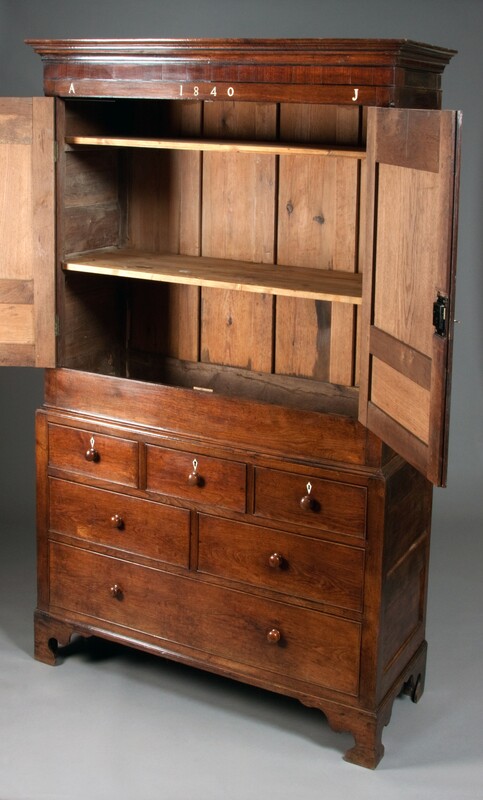 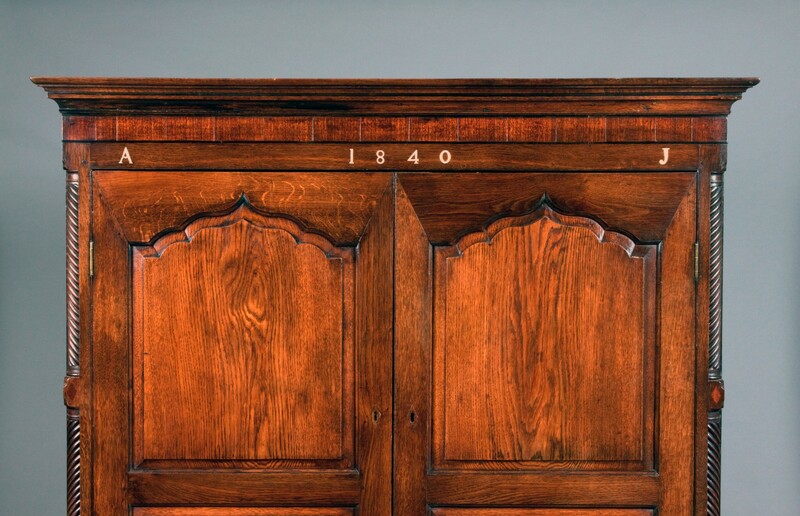 Wonderful Welsh oak linen press, which is superbly made with some unusual detail, such as the mahogany and bog oak banded frieze that is inlaid with bone initials AJ and the date 1840. 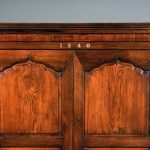 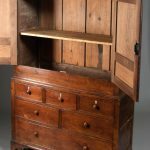 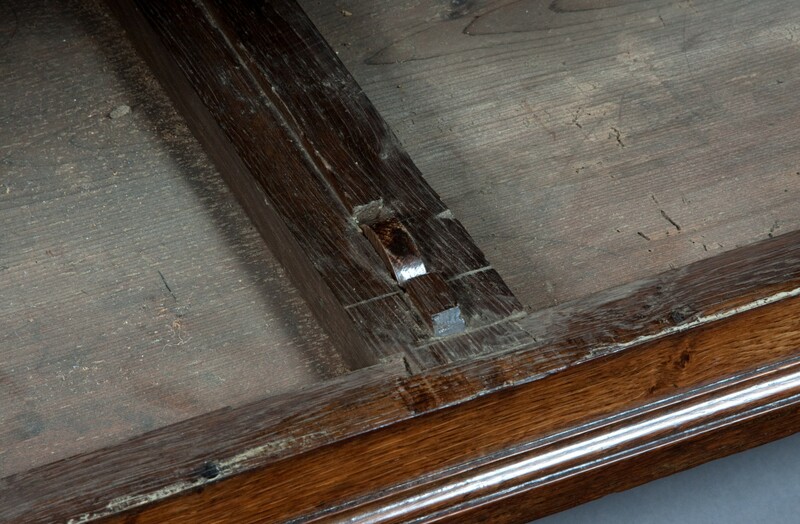 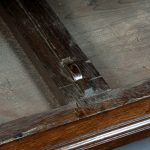 Other noteworthy details are the mitre-jointed door frame, turned quarter columns, the interior wooden door catch and the oak rollers which are fitted to the base floor to assist with the use of the bottom drawer. 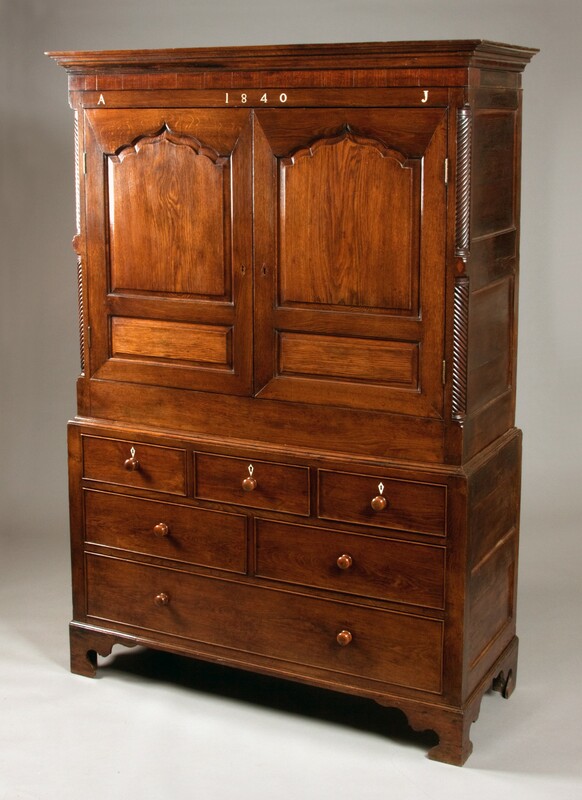 Possibly made as a marriage gift for Ann Jones of Rhydlewis in Cardiganshire.